At STH, we have been covering the Intel Xeon D-2100 series launch extensively and even produced the first independent third-party Intel Xeon D-2100 series benchmarks and power consumption figures. We have also been following new product launches and now the Gigabyte MB51-PS0 has been launched with the Intel Xeon D-2183IT 16-core / 32-thread CPU in an ATX form factor. 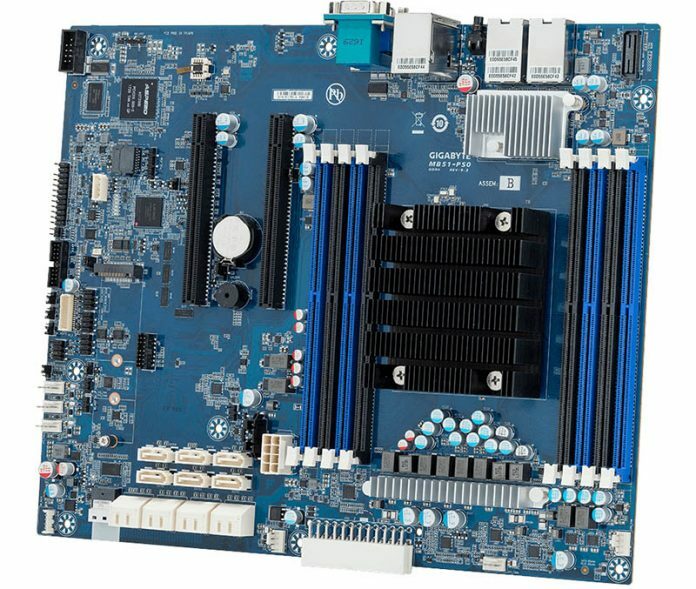 The Gigabyte MB51-PS0 is an ATX motherboard which is extremely interesting in this generation. The new Intel Xeon D-2183IT CPU has, even more, I/O and more performance than previous generations. 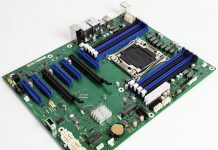 As a result, larger than mITX form factors are becoming increasingly popular in order to handle a full complement of 8x DDR4 DIMMs. There are a few really interesting bits to look at on the board itself beyond the 8x DDR4 DIMM slots. 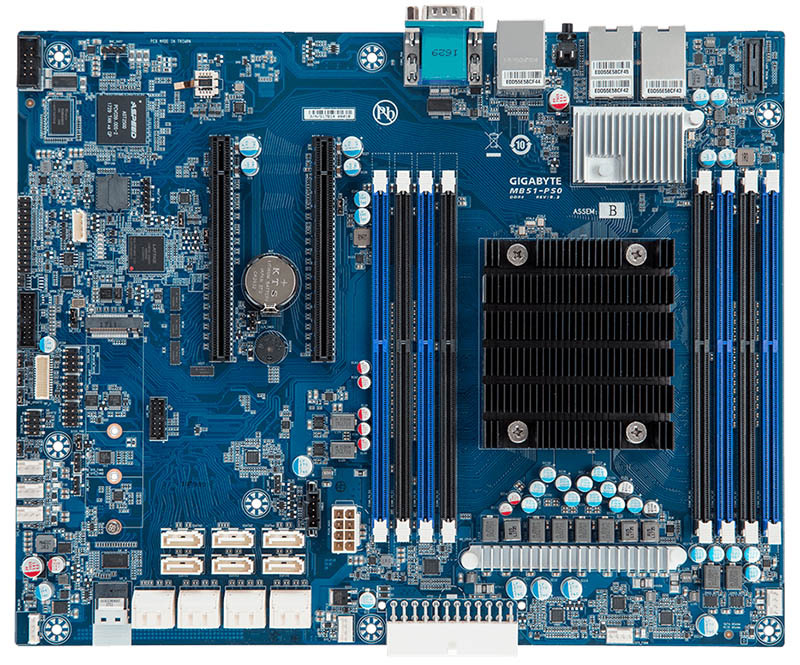 First, the motherboard has all 14x SATA III 6.0gbps ports that are provided by the platform. That means that one can have 8x more SATA III ports on this generation than the previous generation Xeon D-1500 series. Those 8x ports can obviate the need for an additional SATA/SAS3 controller. There are two 10Gbase-T ports and out of band platform management. For next-generation storage, there are a M.2 and U.2 ports. Beyond these two ports, there are also two PCIe 3.0 x16 slots. One of the x16 slots shares lanes with the M.2 and U.2 slots. Here is a quick excerpt of the specs from the Gigabyte website. Overall, these are some interesting specs on what may be the largest Intel Xeon D-2100 series motherboard to date.